Three Palestinian women living in an apartment in Tel Aviv try to find a balance between traditional and modern culture. 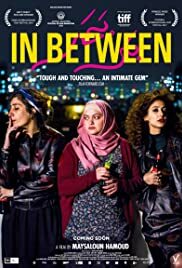 IN BETWEEN is a film that follows the lives of three young Palestinian women living in the vibrant heart of Tel Aviv. For males just about to dismiss the film as another feminist movie, it should be noted that though all the characters, writer and director all being female, IN BETWEEN especially opens the eyes of those in North America, male and female alike on what it is like to be female in Tel Aviv. For one, the film covers the little-known underground club scene (which the director grew up on). The three women are Lalia (Mouna Hawa), Salma (Sana Jammelieh), and Nur (Shaden Kanboura) who share an apartment in Tel Aviv. Lalia, a criminal lawyer with a wicked wit, loves to burn off her workday stress in the already described underground club scene. Salma, slightly more subdued though no less lively, is a DJ and bartender. Nur is the younger, religious Muslim girl who moves into the apartment in order to study at the university. Nur is both intrigued and intimidated by her two sophisticated roommates but eventually grows closer to see a new view of life. Nir’s conservative fiancé who visits. He is totally horrified (to the audience’s delight) by her secular friends, entreating her to hasten their marriage, leave Tel Aviv, and assume her rightful role as a wife. This is when Hamoud’s film begins to make a statement, and an important one for all females all over the world that has more meaning now with all the sexual abuse allegations going on in the world. Hamoud turns on the dramatic content in the film’s second half. Nur refuses her fiance’s wishes, and his violent rebuttal leaves all of the women shaken. Salma and Lalia also face turmoil: Lalia has found love with a modern Muslim man whose acceptance proves less than unconditional while Salma discovers that her Christian family in a northern Galilean village is not as liberal as they claim. Hamoud riles up the audience’s anger at the fiancé by making him also a hypocrite and bold face liar. The three interwoven stories are all very interesting and different enough. Hamoud has her audience rooting for her spirited characters of three very different women finding themselves doing the same balancing act between tradition and modernity, citizenship and culture, fealty and freedom. The film’s soundtrack also deserves mention. 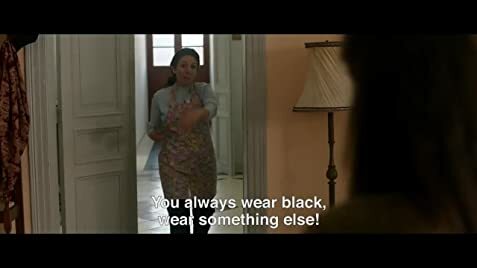 Looking deeper into the film, the three characters incorporate females younger and older; from the town and the city as well as more traditional and less traditional. Feminism is revealed in a different light especially in the film as a necessity to be liberated from the abuse of men. Hamoud accomplishes the rare achievement of having even males despise male behaviour in her film. The film has been selected for quite a few International Film Festivals so far including the Toronto International Film Festival in 2016 where it won the NETPAC Award, 2016 Toronto International Film Festival.